We now have a Gluten Free version of our Classic Honey Nuggets. They are filled with a special milk and honey cream creating a delicious taste. 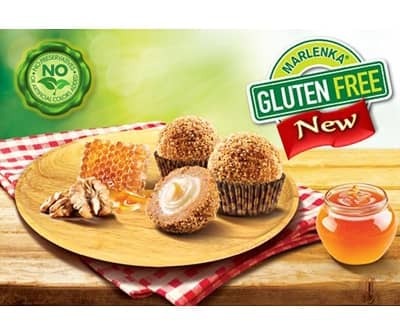 We now have a Gluten Free version of our Marlenka® Classic Honey Nuggets. These delicious truffle like honey nuggets are made according to an old Armenian family recipe. They are filled with a special milk and honey cream mixture creating a unique and overall interesting taste and texture.